Search Engine Optimization (SEO) and the use of keywords go hand in hand. Website developers tend to focus on the inclusion of keywords in their page content and sometimes forget that there are other issues that need to be considered. The following tips highlight some of these features and attempts to balance the search engine optimization process to include a wider range of page and website features. The size of web pages on a site and the amount of page content provided is an important aspect of SEO. Search engines make the assumption that a website that has meaningful content will have web pages with a substantial amount of good content. A website will not be considered an authority on a topic if it has only a small volume of content. There have been examples of research where additional content, such as a piece of Shakespearean prose, has been added to a page and the page has jumped in the search engine rankings, simply because of the increased volume of text. The effect may be difficult to isolate to this one element, however the principle does also meet the ‘common sense’ test. Websites do not exist in isolation, but usually share space on a server with other websites. The IP address of the web server will be noted by search engines. Where a large number of incoming links are from websites with the same server IP address, search engines will assume they may be related to the target site and SEO benefits will be reduced. There may also be a reduction in SEO benefit if the web server is host to sites frowned on by search engines. These include ‘link farms’ and websites delivering spam email. It is good to know who your neighbors are. You will find a number of online resources that will enable you to check your reverse IP and tell you who else is sharing your server. If you have dodgy neighbors you should approach you website host to ask for a move to another server. Anything that detrimentally affects your SEO status should be looked at and amended if possible. In the past, many browsers facilitated poor HTML structures. This was especially true of Internet Explorer. The situation is now changing, and browsers are becoming more critical of HTML use. Search engines parse web pages to examine content and in doing so have to analyze the HTML tags. There is a reasonable assumption that professional, authoritative websites will be constructed using industry-standard HTML. Have your web pages checked by an online HTML validation tool to ensure it is compliant with current standards. This will make it easier for search engines to index your web pages and will show them your website is not a ‘home made’ project. There is no point in optimizing a website so that it ranks high in search engine listings and then have it delivered at frustratingly slow speed. Users are now very impatient with web pages that fail to load quickly. Search engines are now very impatient with web pages that fail to load quickly. Speed of server delivery has become another variable in the search engine ranking algorithm and must be considered as part of your SEO process. If you find your web pages are slow to download using a number of different Internet connections, check your page content is appropriate and move servers or host if necessary. A ‘clean’ simple test page can be created to check if slow download times should be attributed to the page content or the server delivery. Websites that have been around a while gather kudos because of their life experience. If all other factors are even, older websites carry more authority than younger websites. There is little you can do to further this process; however it is a warning against frequently changing your domain name to suit fashion trends. As with good HTML, search engines recognize good language structure. Identify your market and use the appropriate language version such as US or UK English. For a world-wide audience, US English is best. This is simply because more people enter search engine queries using this version. 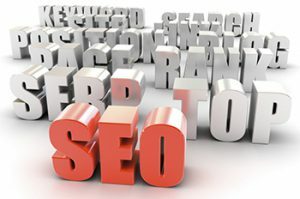 The suggestions provided above show that search engine optimization is not only a consideration of appropriate keywords. There are other relevant factors to consider. Build your website with all of these in mind and the SEO process will bring even greater benefits than before. Ventura, CA native with a passion for everything technology. Husband to an amazing Woman and Father to 4 great kids. Lover of all music, but U2 is my go to. Founder of Wilmeth Group and co-founder of Ventura Buccaneers. Powered by Espresso.